Today in Masonic history Leopold "Leo" Charles Maurice Stennett Amery is born in 1873. Leopold S. ("Leo") Amery was a British politician and journalist. Amery was born on November 22nd, 1873 in Gorakhpur, India. He attended the Harrow School in London, England where he was a contemporary of Winston Churchill. He would go on to Balliol College, Oxford. During the Boer War, Amery was a correspondent. In 1901 he wrote an article attacking a British Commander which led to the commander being relieved of his command. The only correspondent to actually visit Boer forces he was nearly captured along with Winston Churchill. 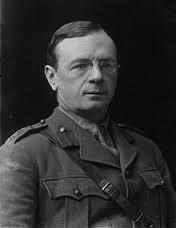 After the Boer War he wrote articles highlighting the deficiencies of the British military. He would also write articles attacking Free Trade. Twice Amery would be offered the position of editor for two prominent London newspapers. He would decline both so that he could focus on politics. After a failed bid to gain a seat in the House of Commons in 1908 (he lost by 8 votes), he won an election in 1911 Member of Parliament. During World War I, Amery's knowledge of Hungarian (he was part Hungarian on his Mother's side) led to his employment as an intelligence officer in the Balkans Campaign. Along with Churchill and others in England between World War I and World War II, Amery advocated for better support of the British military. He was a driving force behind the creation of the Army League, an organization that fought to keep the issues of British military before the people. In the lead up to World War II, Amery was a vocal critic of Neville Chamberlain's appeasement strategy with facist Italy and Nazi Germany. Among other accomplishments in his life Amery was a member of the Order of Companions of Honour. It is an award given to a select few for outstanding achievements in arts, literature, music, science, politics, industry and religion. Amery passed away on September 16th, 1955. Amery was a member of Canada Lodge No. 3527 in London, England.